We respect and value business, advisor and M&A broker peer relationships. Our affiliations bring critical resources to augment successful corporate acquisitions, M&A advisor assignments and business transitions. Business owners looking to sell or acquire a business are beneficiaries of our affiliations. We expand capabilities through well-established networks of contacts and resources, as we work in close cooperation with parties important to clients’ and customers’ best interests. We build and nurture affiliations to better serve. This premiere international organization serves educational and resource needs of middle market M&A brokers and others. Formed to bring together CPAs, attorneys and other experienced corporate financial advisors, AM&AA’s professional services firms are highly recognized leaders in the industry who draw upon combined expertise to better serve middle market clients worldwide. AM&AA members represent business sellers and buyers of middle market businesses. Services are M&A seller representation, buyer representation, due diligence, accounting, financing, business valuation, tax plans, legal, strategic advisory and other M&A services. Founded in 1887, AICPA represents the CPA profession nationally regarding rule-making and standard-setting, and serves as an advocate before legislative bodies, public interest groups and other professional organizations. The AICPA develops audit standards for private companies and other services by CPAs; provides educational guidance materials to its members; develops and grades the Uniform CPA Examination; and monitors and enforces compliance with the profession’s technical and ethical standards. The AICPA’s founding established accountancy as a profession distinguished by rigorous educational requirements, high professional standards, a strict code of professional ethics, a licensing status and a commitment to serving the public interest. Association for Corporate Growth is a global organization with 56 chapters and over 14,500 members. Doing business is the heart of ACG experiences. Chapters across the globe bring dealmakers together to achieve their business and professional goals. ACG is a trusted and respected resource for middle-market M&A dealmakers and business leaders who invest in growth and build firms. It offer face-to-face events, online tools, structured networking opportunities, member benefits and leading-edge market intelligence. ACG brings together all segments of the growth community. Growing of business networks is essential. ACG delivers the right people, in the right way, right to members. ACG is the home for the middle-market M&A deal making professionals. Distinguished leaders in the business brokerage, intermediary and merger and acquisition profession created a foundation to advance and promote the business brokers’ profession. Each served as officer and director of the International Business Brokers Association (IBBA). They were mindful of the Association’s critical need to devote its resources into member programs, conferences and Certified Business Intermediary (CBI) and Merger and Acquisition Master Intermediary (M&AMI) programs. Thought, work and love of the business broker profession were primary in creating BIEF. BIEF advances and promotes the business broker and M&A professions. It embraces business brokerage’s international aspects, is inclusive across the dealmakers’ spectrum, and outreaches to other business sale organizations. It promotes awareness and understanding among the public, business advisors, owners, business buyers and sellers, based on information, understanding, cooperation and education. The business sale profession has come together in an all “industry coalition” working to remedy requirements burdening the industry inappropriately. This costly burden impacts owners selling businesses or making acquisitions, and business brokers and M&A brokers who advise them. This campaign involves most of the business broker and M&A advisor professional associations nationally. It has produced supporting legislation in the U.S. House and Senate, which passed the House unanimously and is pending as a bill in the Senate. 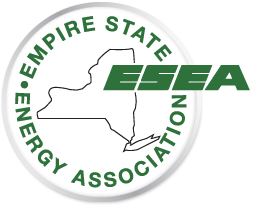 Empire State Energy Association (ESEA) is a trade association representing 300 petroleum marketer businesses throughout New York. ESEA members are an important part of New York’s economy and they support the state’s businesses through storage and distribution of gasoline, diesel, aviation, heating and industrial fuels, generating over $4.5 billion annually in New York State. Entrepreneurs of Tulsa was formed to create environments celebrating business and entrepreneurial spirit through member gatherings, speakers, advisors and guests. ET’s motto is “Creativity To Commerce.” It brings together ideas and opportunities for innovation, invention, intellectual property and investment, providing a forum for ideas and mentoring. The Institute of Business Appraisers (IBA) is the oldest professional society devoted solely to the appraisal of closely-held businesses. Established in 1978, the Institute is a pioneer in business appraisal education and professional accreditation. Service, integrity and fair play are the basic fundamentals of I-CBC members. They are known for candor in sharing knowledge and techniques. Members provide merger and acquisition advising and other services in disciplines united by focus on the continuing businesses by improved operations, profits or change of ownership. Members are business investment bankers, estate planners, accountants, attorneys, business appraisers and business consulting for business transactions and management. International Business Brokers Association, Inc. The Oil & Gas Advisor principals served as president, directors, education and many other committee chairs, are Certified Business Intermediaries, and have been selected as fellows, for the President’s Award, Tom West Award, and as Life Members. IBBA was formed in 1983 and grew to 1,950 members in the USA and around the world. International Business Brokers Association is the largest international association operating exclusively for people and firms engaged in business brokerage, and as advisors or intermediaries in mergers and acquisitions. IBBA’s cooperative business brokers, advisors and intermediaries can be found worldwide in Canada, Mexico, Asia, Europe, Australia, New Zealand and the U. S. It offers education conferences and an “IBBA University” educational program for training specific to the business broker and merger and acquisitions profession serving corporate acquisitions and divestitures. Leadership Oklahoma is committed to the betterment of Oklahoma by nurturing Oklahoma’s “leaders making Oklahoma the leader.” LOK creates, inspires and supports a dynamic network of leaders with increased awareness and commitment to service that energizes Oklahomans to shape its future. LOK hears and answers the call to service. Members are passionate about Oklahoma and committed to its future, challenging the status quo to help Oklahoma achieve its growing potential. Program graduates help sustain a strong diversified business economy, provide quality career opportunities and create an increasingly attractive quality of life. Change is fostered through diverse leaders with enlightened perspective of challenges and opportunities facing the state. Members engage others in support of common goals and are persistent, informed and involved leaders in the state. They embrace a common vision and serve as catalysts to build Oklahoma’s future. The Oil & Gas Advisor’s principals served as founding members, board chairmen, directors, chairs of education and various leadership committees, are certified Master Merger & Acquisition Intermediaries and received the Darrell Fouts Award. The M&A Source promotes professional development and members’ interests to better serve merger and acquisition clients’ needs and maximize public awareness of professional intermediary services available for middle market merger and corporate acquisition transactions. The M&A Source was established in 1991 to address the professional issues of merger and acquisition advisors, intermediaries and related M&A professionals. It has grown to more than 250 advisors and intermediaries worldwide. The M&A Source goals are to advance members’ deal making opportunities, M&A practice standards and personal growth through forums for corporate acquisitions advisors and M&A intermediaries to exchange information and learn from one another. Members’ professional activities include representing owners in completing the sale of their businesses or searching to acquire companies, divisions or product lines; as M&A advisors to clients on acquisitions, values, structures, strategies and methods for ownership transfers of middle market companies; in facilitating financing necessary to consummate the transaction; and preserving client confidentiality. Founded in 1905, the Manufacturer & Business Association (MBA) is a not-for-profit employers’ association focused on helping businesses succeed. MBA partners with over 4,500 businesses in Pennsylvania, New York and Ohio, providing a host of membership benefits including: HR Planning and Consulting, Legal Services/Hotline Training/Development, Energy Management/Supply, Surveys, Employee Benefits, Computer Training. Experienced and USPAP-compliant members of National Equipment & Business Brokers Institute are appraisers to prepare a qualified appraisal as required by the IRS, Council of Foundations and U.S. Small Business Administration’s SOP 50 10 (5) (F). The National Propane Gas Association (NPGA) is the national trade association representing the U.S. propane industry. Members are small businesses and large corporations engaged in retail marketing of propane gas and appliances; producers and wholesalers of propane equipment; manufacturers and distributors of propane gas appliances and equipment; fabricators of propane gas cylinders and tanks; and propane transporters. Membership is more than 3,200 companies in 50 states, 38 affiliated state or regional associations and 19 foreign countries. Founded in 1986, New York Association of Convenience Stores (NYACS) is a private, not-for-profit trade association dedicated to unifying, serving and representing the business owners and convenience store industry of New York State. The New York Propane Gas Association (NYPGA) is a member-focused trade organization providing services that communicate, educate and promote the propane industry in New York. The association offers opportunities to learn through training and networking with peers, and to aid with legislative issues that contribute to operating a safe and successful industry. Because the industry is highly regulated, the NYPGA focuses on education, networking and representing New York’s propane businesses’ interests to the government, while assisting members in remaining current on propane industry regulations. The New York Propane Gas Association is affiliated with the National Propane Gas Association. The Oklahoma Academy is a nonprofit, nonpartisan membership organization that brings public attention to policy issues; provides objective, thorough research; and is a catalyst for positive change. The Academy identifies issues facing Oklahoma; provides well-researched, objective information; fosters nonpartisan collaboration; develops responsible recommendations; and encourages community and legislative action. Its vision is to empower Oklahomans to improve their quality of life through effective public policy creation and implementation. Oklahoma Manufacturing Resource Network was formed to create an effective network to match trusted and respected service providers to needs of the manufacturing business community. Through meetings and business presentations, members connect to each other and to the network of extension advisors serving manufacturing clients throughout Oklahoma. Oklahoma Manufacturing Alliance provides technical assistance and business advice, helping manufacturing companies become progressively more successful. Its statewide network of manufacturing extension agents and applications engineers focus on improving the bottom line while growing the entire business. Extension agents and engineers live and work in communities across Oklahoma, taking support to manufacturers’ workplace on the owners’ schedules. Oklahoma Manufacturing Alliance is as one of the leading organizations of its type across the USA. Oklahoma Private Enterprise Forum was organized in Tulsa, Oklahoma, to foster business development through private enterprise. Prior to merging with the Oklahoma Investment Forum, Oklahoma Private Enterprise Forum provided a medium for investors, entrepreneurs, business owners and others to exchange experiences and ideas about corporate finance and investing, strategic development or growing new and existing small businesses. The annual Oklahoma Investment Forum provided a venue to match business needs to investment capital and corporate finance. Growing firms presented private capitalists. Business entrepreneurs obtained an estimated $150 million through Oklahoma’s Investment Forum. The Pennsylvania Business Brokers Association is an association of business brokers and merger and acquisition intermediaries whose goal is to promote the growth and professionalism of the business brokerage community within Pennsylvania and surrounding member states. The Pennsylvania Petroleum Association is a trade association representing independent petroleum marketer businesses at the wholesale and retail levels and firms supplying petroleum products, as well as other related services. 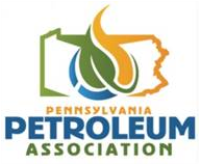 Pennsylvania Petroleum Association provides invaluable services and represents the independent marketer’s commercial interests in Pennsylvania and nationally. The Pennsylvania Propane Gas Association (PAPGA) is a member-focused trade association providing services that communicate, educate and promote the propane industry in Pennsylvania. PAPGA offers firms opportunities to learn through training and networking with peers, and to aid with legislative issues that contribute to operating a safe and successful industry. PAPGA focuses on education, networking and representing the commercial interests of Pennsylvania’s propane businesses to the government, while assisting members in remaining current on topics vital to the propane industry. The Pennsylvania Propane Gas Association is affiliated with the National Propane Gas Association (NPGA) and the Propane Education and Research Council (PERC). The Petroleum Marketers Association of America (PMAA) is a federation of 48 state and regional trade associations representing approximately 8,000 independent petroleum marketer businesses nationwide. The Propane Gas Association of New England is a trade association representing nearly 675 members whose companies sell propane or propane-related appliances and equipment in the six New England States. PGANE exists to serve the propane industry by promoting safety, education and public awareness of the uses of propane. Rotary is about Service above Self. It is an organization of more than 1.2 million members comprised of business, professional and community leaders bound by a humanitarian spirit. Strong fellowship, meaningful community and international service projects characterize Rotary. Rotarians provide service, encourage high ethical standards in all vocations and help build goodwill and peace in the world. Clubs are nonpolitical, nonreligious and open to all cultures, races and creeds. The Oklahoma State Chamber stands to make Oklahoma “The State of Choice for Business” through business advocacy. It serves as a legislative advocate to represent all types and sizes of business. The State Chamber of Oklahoma provides services and programs designed to address the specific needs of small business, manufacturing, community development and education. Oklahoma’s State Chamber serves more than 2,000 business locations in 25 states. Most members have less than 35 employees. Policy is developed and set by about 650 business volunteers in over 30 committees. The Board establishes policy approval. Texas Association of Business Brokers, TABB, is a not-for-profit professional association representing the Texas business brokerage profession. TABB is the oldest statewide business broker trade association in the country. TABB’s business brokers represent both business sellers and buyers and offer privately held businesses for sale, mergers and acquisitions (M&A), franchises and business evaluations and appraisals. TABB’s affiliate members are professionals in finance, banking, accounting, law, as real estate brokers, appraisers and other services to business brokers. TABB is owned and operated by the members and governed by a Board of Directors. It has chapters in Austin, Dallas/Ft. Worth, Houston, and San Antonio. Tabb holds an annual convention including an education conference, where TABB business brokerage education courses are offered, and a trade show displaying the latest in products and services available to business brokers. The Texas Society of Certified Public Accountants exists to support its members in their professional endeavors and to promote the value and high standards of Texas CPAs. 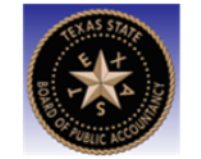 The mission of the Texas State Board of Public Accountancy is to protect the public by ensuring that persons issued certificates as certified public accountants possess the necessary education, skills and capabilities and that they perform competently in the profession of public accountancy. Tulsa Economic Development Corporation was charged with promoting and sustaining Tulsa, Oklahoma’s small business growth. In the past ten years, TEDC provided or located more than $156 million to help start or expand nearly 300 small businesses, impacting nearly 3,500 jobs. TEDC is now TEDC Creative Capital, reflecting its greatly expanded range of programs and geographic reach. It makes and facilitates loans from $5,000 to $10 million, using private and public funds. The mission remains creating economic vitality in its communities by encouraging small business growth. The Tulsa Executives’ Association was founded in 1930 by Tulsa, Oklahoma, business leaders. They created a business organization to help each other survive the depression. It provided mutual support and business referrals and encouraged members to patronize each others’ businesses. TEA thrives as a business organization with over 100 firm members, plus many associate and honorary members. Camaraderie is enjoyed among the members over weekly meals, visits to members businesses and spotlight presentations. It is highly regarded for contributions to members’ success. Tulsa Regional Chamber is the principal business-driven leadership organization for improving the quality of community life through development of regional economic prosperity. For over 100 years, it has served as an integral part of what makes Tulsa, Oklahoma, a great place for business and to live, work and play. It focuses on results to benefit its 3,000 member firms and the community. The Chamber is Tulsa, Oklahoma’s, primary business advocate, teaming with community partners to ensure well-balanced programs. Visionary civic leadership from over 1,700 volunteer members working with 50 plus staff makes Chamber one of the most dynamic member-driven, community-oriented organizations in the USA. In 2010, the Tulsa Oklahoma Regional Chamber was named the nation’s best for a record third time in consecutive years of eligibility. ... thank you for the excellent job you did in handling the sale ... you found buyers who were qualified ... knowledgeable ... and will be very successful ... you put forth your best effort at all times and were diligent in handling the details ... We were very impressed by your integrity and professionalism. ... innovative reorganization and initiatives directly contributed ... cited for robust and stalwart service, initiated enhancements ... His innovations, programs and dedication to The M&A Source have placed it among the most esteemed organizations in the M&A intermediary profession.